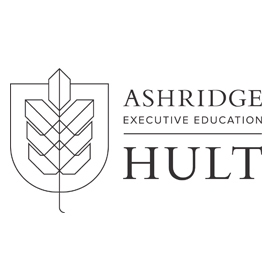 Ashridge Business School was one of the first business schools worldwide to create a sustainability research centre in 1996. Holding a triple AMBA, AACSB and EQUIS accreditation, the School incorporates sustainable development and learning objectives in the content and assessment methods of its Masters, open and customised programmes. Specialising in sustainable leadership, the school works with over 6,000 managers from 850 organisations in 60 countries. "It was the best of times, it was the worst of times... the spring of hope, the winter of despair. " Charles Dickens' words feel current and vivid as we think about our world today. We may have at last some energy towards meaningful international agreement on climate action. We are seeing sustainability feature in the corporate and political mainstream like never before. edie’s 2015 Sustainability Leaders Awards were full of brilliant performances and inspirations. Yet, at the same time we have the Paris atrocities of 13 November, and the reaction by President Hollande promising a “merciless battle” against “the barbarians”. Much of the world has embraced war. Our news is, once again, full of reports on the latest outrage here, the latest bombing raid there. I do wonder that it seems so hard for humanity to see the paradox here: uniting for the sake of our shared habitat, and at the same moment uniting behind bombs and missiles in a fight to the death. We are such fragile creatures; we fall routinely into the habit of fragmenting and separation. We know that war is no solution. And yet there is a political need to act and be seen to act. In this context, I have found some historical words by a former US President inspiring and challenging in equal measure. “Every gun that is made, every warship launched, every rocket fired signifies a theft from those who hunger… from those who are cold and are not clothed. This was a US President and a military man. He was not soft on war, but he was tired of it and sceptical it would lead to good. “I hate war as only a soldier can,” he said, “as one who has seen its brutality, its futility, its stupidity”. It’s such an old challenge: how do you respond to violence? We certainly must confront it. But do we need to confront it with more violence? The ancient story of the Buddha and Angulimala suggests a tougher and wiser route. Angulimala was a murderer, he terrorised the land and wore a necklace of his victims’ fingers. The Buddha confronted him in the forest. The Buddha didn’t threaten merciless war. Instead, he offered a merciful and brutal truth. He risked death to confront violence at the most fundamental level, face to face. Notice, here, that there is nothing soft in what the Buddha did. He did not offer appeasement, he offered absolute non-violent confrontation. Later, he did the same with the King, Pasenadi, who was pressed by his terrified people to put the “terrorist” Angulimala to death. The Buddha confronted the King with the same truth - that the anger, fear and violence of the “terrorist” was the same fear, anger and violence of the people and the King. The victory of one over the other would never release either from suffering, nor was “victory” possible. But this is monumentally difficult. We are so comfortable in our division and the certainty given by our attachments. “We are us, we are not them” is our default identity. This splitting into factions and fragments is at the very heart of our troubles: in our conflicts between nations, between our faiths and ideologies. And it is also at the heart of our war against nature. We see nature as separate from us. We hold intergovernmental talks to agree on who pays the cost for stopping our abuses. We still have a war between business and nature – and we will until we have the confrontation that comes at first from meeting and dialogue, and later from integration. “This is not a way of life at all, in any true sense,” concluded Eisenhower in 1953, and called for us to move beyond investment in conflict. So my Christmas hope is that we will continue our work to craft the courage for a deeper and more fundamental confrontation. We may not be the Buddha, but we are Angulimala - every one of us. We are not separate from each other, nor separate from our living earth. May recognising this, and owning our anger, fear and violence without blaming others for it, open the way for us to realise more of Eisenhower’s aspiration all those years ago. Chris Nichols is a business director at Ashridge Business School, where he is co-director of the Ashridge Masters in Sustainability and Responsibility programme and deputy director of The Leadership Experience.